Tour de France cyclists have always led complicated lives. The 1906 winner, Rene Pottier, committed suicide when he discovered his wife’s affair, and Henri Pélissier (1923) was murdered by his lover, Camille, with the gun his first wife Léonie had used to commit suicide – Pélissier was generally regarded as having deserved his fate, and this was France, so the judge let Camille off. But there were few like five-times winner Jacques Anquetil. 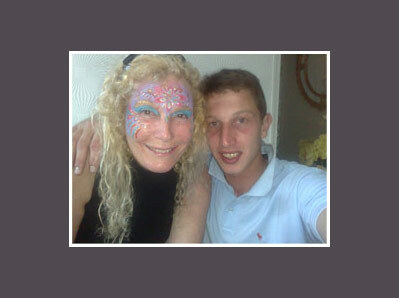 His first wife, Janine Boeda, was married to his team doctor when they met. Poor Dr Boeda realised what was going on and tried to hide her away, but love won out, and the pair eloped. During the period of Anquetil’s greatest triumphs, Janine travelled with him, gave interviews on his behalf, and became almost as famous as her new husband. But although she had had two children, Alain and Annie, by Dr Boeda, she had none with Anquetil. Some accounts say Dr Boeda had sterilised her, others that she miscarried. Janine’s children lived with them, but Anquetil wanted his own. On 31 July 1971 Annie bore Anquetiel a daughter, Sophie, and the ménage-a-trois lasted many years. But eventually tensions mounted and in the early 1980’s Annie moved out. 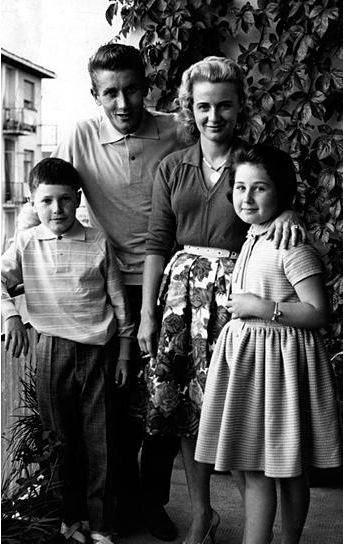 Soon Anquetil began another intra-family affair, this time with Dominique the wife of his other stepchild Alain, who was working as the estate manager and himself in love with another woman. The birth of their son Christopher in 1986 seems to have finally been too much for Janine, who left. 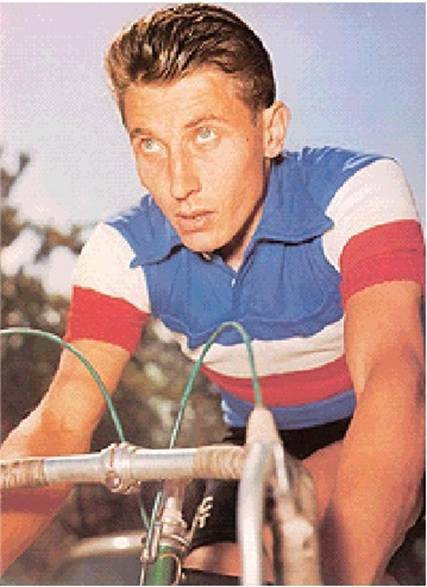 Anquetil died of stomach cancer the following year. He was 53. Janine and Annie told their story to the papers, and Dominique and Sophie wrote books about it. Dominique stayed on in Chateaux Anquetil (click here) where she remains to this day, running it with Christopher. Sidewells C (2010) A Race for Madmen. Collins. London. Liberation. May 2004. Access here. Sophie Anquetil (2004) Pour l’amour de Jacques. Grasset & Fasquelle. Paris.